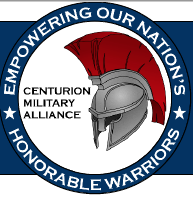 Centurion Military Alliance (CMA), a registered 501 (c)(3) charitable non-profit organization, welcomes you to attend a FREE 1-day Warrior Transitioning Readiness Workshop!!! CMA is opening up this opportunity to Transitioning Service Members, Veterans and their Spouses. Seats are limited and they go FAST! Arming you with tools necessary to become successful during your career search. You will hear from experts in the Social Media field that will teach you how to maximize your social media networks to better optimize your career search success. You will also have the opportunity to sit with representatives from Regionally Accredited Universities who will be on-site to provide free transcript evaluations. A rough draft resume, Education Transcripts, and a “Ready-to-Learn” attitude. 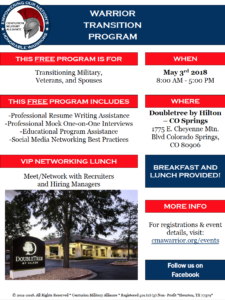 This is your opportunity to networking with businesses large and small who have a vested interest in hiring military candidates. CMA offers monthly one-of-a-kind transitional-skills and education training with a goal of ensuring each individual attending the Transitioning Warrior Program is equipped with the knowledge and tools necessary to establish a professional career path upon exiting the military. CMA ensures that each service member works one-on-one with an HR professional to develop the soft and hard skills needed that compliment each transitioning service member’s vocation. 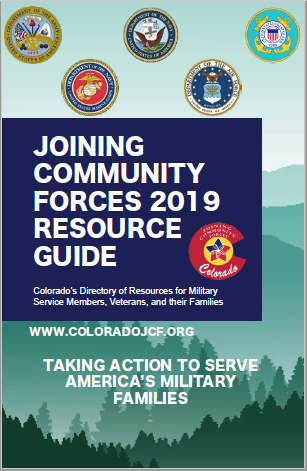 CMA compliments the transitioning service members experience by pairing each individual with a military-to-civilian resume writer to help “demilitarize” the members civilian resume; giving greater potential for being noticed during the resume search process. Last but not least, CMA typically keeps the classroom size to no more than 25-30 attendees per event ensuring that each individual attending receives the time and attention necessary to succeed.